We can also make the length of your cover to go to the floor. $90.00 extra. 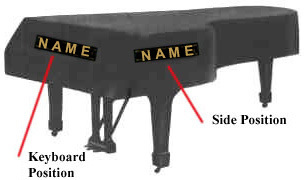 The website had the information necessary to order the correct size piano cover, something that I had worried I might not be able to figure out. The quality of the cover is fantastic--I couldn't have asked for better. I'm puzzled how to connect the locking straps and how it is they "lock." I'll eventually figure it out, or, if I have questions, probably someone at the company will help me. 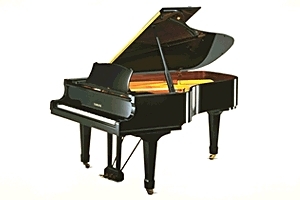 I ordered the piano cover for my brand new Yamaha baby grand piano. The fabric was quilted padded mackintosh with side embroidery, side slits and locking straps. The cover came in a box a couple of days ago with no damages. I absolutely LOVE it! I put it on the piano and it was a perfect fit. The fabric is nice and thick so it should protect my piano well. Thank you!! !